Although the idea of nanopropellers swimming through your eye is not an attractive one, it may be the future of treating optical diseases like glaucoma. In the future, nanobots might drill into your eyeballs to deliver drugs and fight eye disease. Nanobots are already poised to make many of the conventional medical techniques we’re using today completely obsolete. By the 2030s, futurist Ray Kurzweil predicts that nanobots will be living seamlessly inside our bodies. Nanobots have already proven very effective at delivering drugs to treat stomach ulcers. Scientists have also demonstrated the potential of nanobots at finding and destroying cancerous cells in just 48 hours. 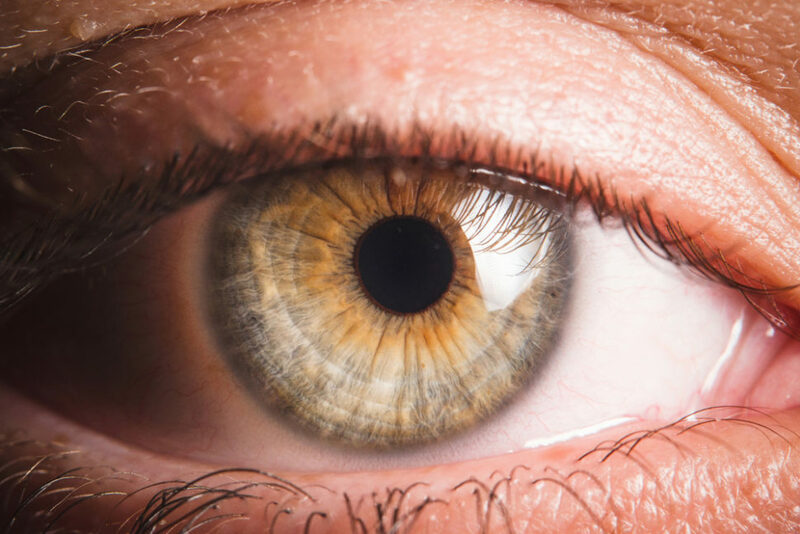 Now, nanobots set their focus on the human eye. Nanobots have already shown their ability to move through fluids like blood to reach drug delivery sites. However, they can’t yet penetrate hard tissue. Drug delivery is even more challenging in the case of the eye’s vitreous humor. Getting nanobots to swim through the complex tissue of the eye is one of the focus research areas at the Max Planck Institute for Intelligent Systems (MPI-IS). Glaucoma, retinitis, and diabetic retinopathy are examples of the many retinal diseases that are difficult to treat. The main issue lies in the eye’s vitreous humor that prevents drugs from reaching the target site at the bottom of the retina. The tight molecular matrix of the eye makes it extremely difficult to break through. | Image via the Max Planck Institute. The image of micromachines propelling themselves through your eye is not an easy one to stomach. However, they’re as non-invasive as they can get. At a size of just 500 nanometers, these nano-vehicles “fit through the tight molecular matrix of the gel-like substance in the vitreous” by drilling holes “200 times smaller than the diameter of a human hair”. But it’s not only about the size. The shape of the nanopropellers and their non-stick coating allows them to travel through the eye without damaging the surrounding tissues. Researchers can steer the nanopropellers using an external magnetic field. These eye-drilling nanorobots have to cross about 1 cm at about 10 microns per second to reach the targeted site and deliver drugs. The team tested their nanopropellers using pig’s eyes as samples. They then observed their movement using an imaging technique known as optical coherence tomography (OCT). If successful, these nanorobots could revolutionize how we treat eye diseases and injuries. They will also make it easier than ever for patients to recover and retain their eyesight. What other tissues in the human body can these nanopropellers penetrate to deliver drugs?